11:31pm – Miracle’s diary session. 11:23pm – Bambam’s diary session. 11:09pm – Cee-C’s diary session. 11:02pm – Anto’s diary session. 10:46pm – Lolu’s diary session. 10:40pm – Khloe’s diary session. 10:32pm – Teddy A’s diary session. 10:19pm – Nina’s diary session. 10:10pm – Rico Swavey’s diary session. 10:01pm – Alex’s diary session. 9:49pm – Tobi’s diary session. 9:00pm – The housemates’ task presentation is currently going on in the arena. 5:30pm – Adesua Etomi is in the house to visit the housemates. 12:49pm – Lolu is quietly seated alone in the garden. 12:37pm – Nina is sleeping on the couch in the lounge. 11:39am – Big Brother summons Lolu to the diary room. 11:38am – Nina and Miracle are inside the closet room chatting and laughing. 11:35am – Big Brother summons Teddy A to the diary room. 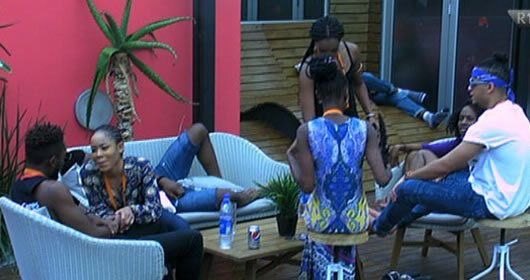 11:15am – Alex, Cee-C and Bambam are having a conversation in the garden. 10:30am – Rico is flirting with Alex again this morning, even after he shared a bed with Khloe. 10:16am – Alex, Anto and Nina are having a conversation. 10:11am – Big Brother summons Head of House Tobi to the diary room. 10:05am – Tobi is sleeping on a couch in the garden. 8:20am – The housemates are taking part in their routine morning workout session. 7:23am – Housemates have began waking up. 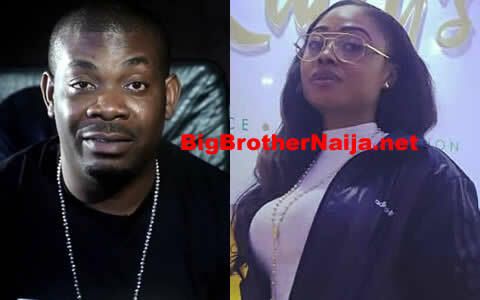 Good morning to you all and welcome to day 60 of Big Brother Nigeria 2018, follow today’s Live Feed Blog for all the latest updates. You can as well check out yesterday’s highlights Here.